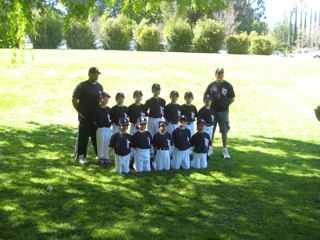 Baseball is an American sport in which a player hits a ball with a wooden or aluminum bat. The batter runs around the bases and tries to get to home plate before he is out. Knapp Ranch is our league. It is for kids ages 5 to 18 years old. We are on the same team in the "coach pitch" division. The name of our team is the Tigers. At the beginning of the season, we have an opening day. The ceremony begins when the color guard marches on the field and we all sing the National Anthem of the United States - The Star Spangled Banner. 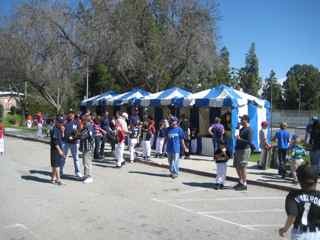 Each team marches around the field in a parade and all the parents cheer. This is also the day we take our team pictures. It is our least favorite part of the day. Then the fun begins! 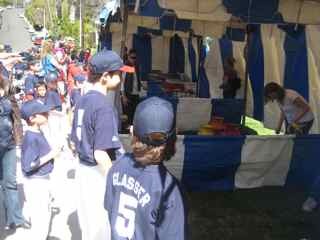 There are many booths with carnival games. Our favorite game was the one where you throw a soft ball and try to get them into one of the big milk containers. If you get a ball in, you get a prize ticket. 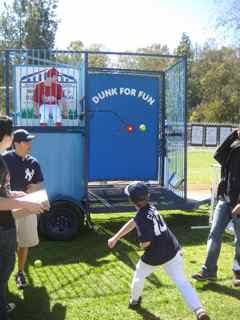 A real crowd pleaser was the dunk tank! Charlie's brothers each took turns getting dunked into the water. Looks like Charlie is about to dunk his big brother! There was a lot of food, too! 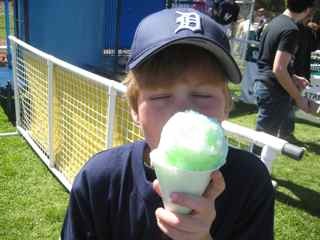 One of our favorite foods was the snow cone. They came in different flavors like bubble gum and watermelon. 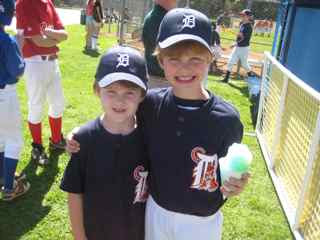 We love baseball at Knapp Ranch because we get to play with our friends and family. Here is another great lesson from our fabulous art teacher, Mrs. Lowy! 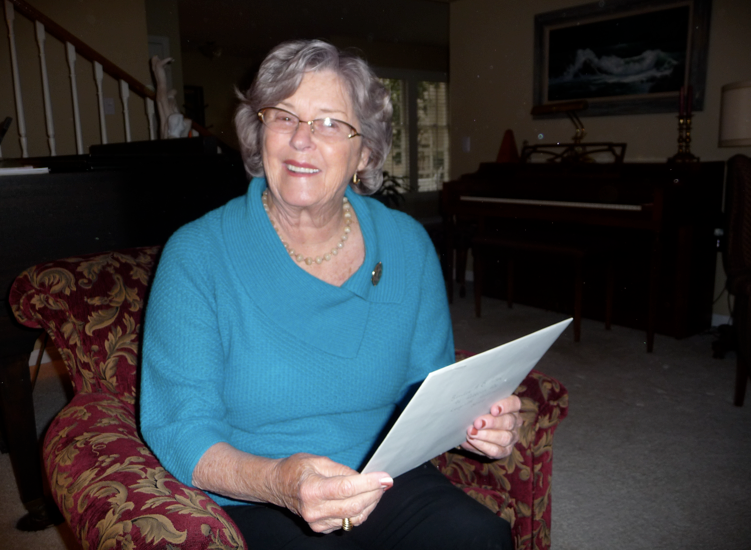 What did you think of Mrs. Lowy's lesson? Do you know any other facts about the American artist, Georgia O'Keeffe? We are special blogging friends with Miss McGeady and 2KM. They sent us a fun Australian package. We suprised them with some American goodies! Bianca and her mom, AA, from 2KM sent our class more fun gifts! 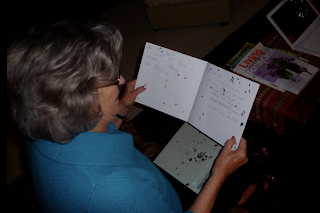 Bianca, from 2KM, found out that my mother turned 80 in April and sent her a beautiful birthday card all the way from Australia! My mother found out that Bianca had an April birthday too! Bianca has an 8 in the ones column! Mrs. Pfau has an 8 in the tens column! Here is a special birthday wish from Mrs. Pfau to Bianca! Bianca's Birthday from mrsyollis on Vimeo. Thank you Bianca and AA! Do you like celebrating birthdays? Bora Bora is an island in the Pacific Ocean! Would you like to visit Bora Bora? 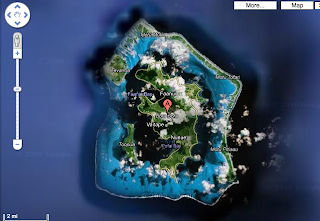 Have you ever visited an island like Bora Bora? Mrs. Yollis' class from California is friends with Mr. Salsich's class in Connecticut. These classes are blogging buddies and Skyped back in November. 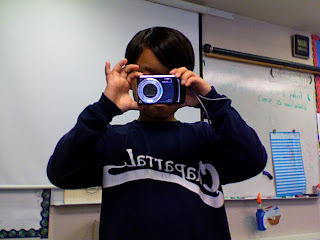 On Friday, the two classes got together to share about their paperless classroom experiences which you can read about here and here. 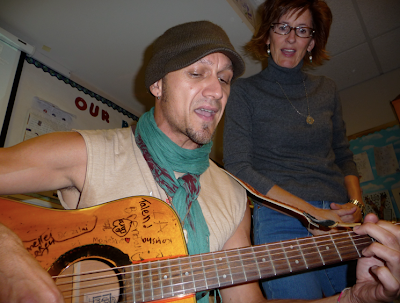 The classes also enjoyed singing some songs with Mr. B. We then enjoyed singing This Land is Your Land and You're a Grand Old Flag. At the end, Mr. Salsich's class sang a solo with Mr. B.
Mr. Salsich's students were on the Atlantic coast and Mr. B. was on the Pacific coast. It was difficult because of a slight Skype delay. But they did it! Both classes enjoyed using the whiteboards instead of paper. A student from Mr. Salsich's class liked that there was no noise from a pencil sharpener all day! 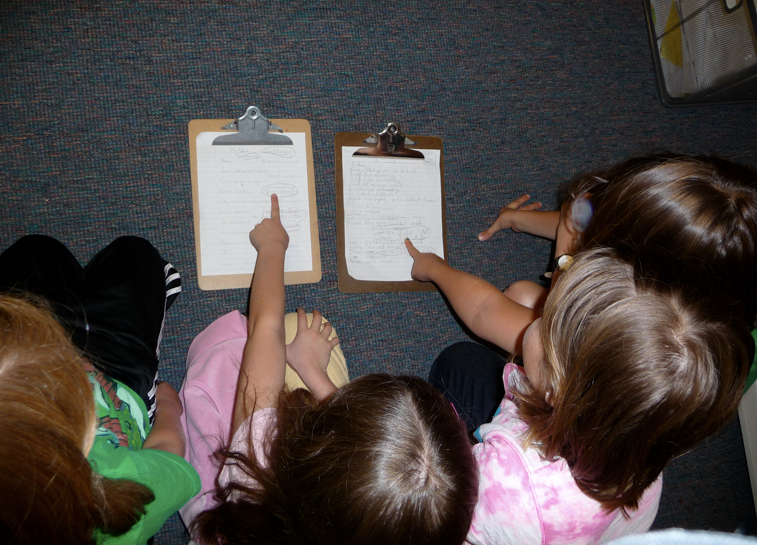 Mrs. Yollis' class liked the idea of paperless homework! What did you like about the connection? How did you like singing together from opposite coasts? 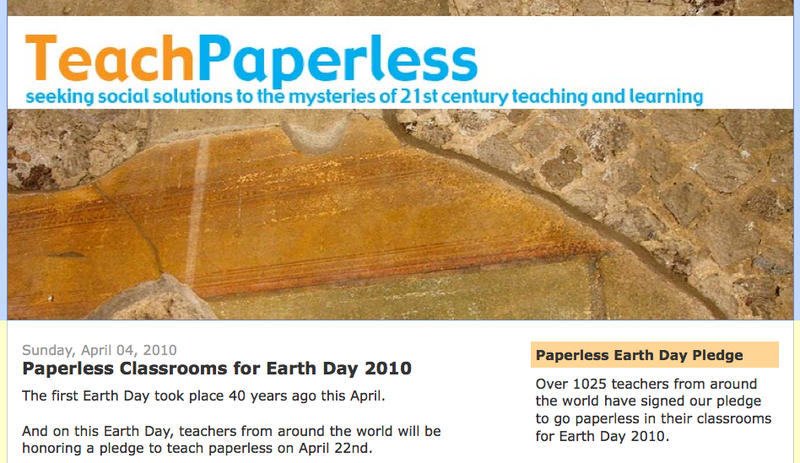 Paperless Earth Day in Mrs. Yollis' Class! Mrs. Yollis' class was totally paperless today! 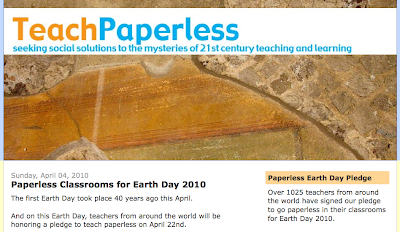 They were part of the Teach Paperless Earth Day project! 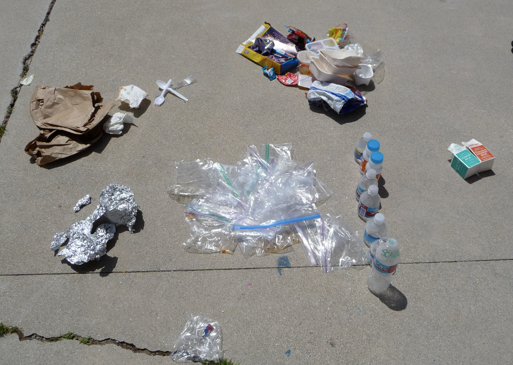 In preparation for Earth Day, the class talked about all the trash they were producing at lunch. 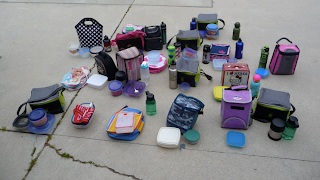 One goal Mrs. Yollis' class set for themselves was to try and use more reusable containers for their lunches. Having a paperless classroom was a challenge, but Mrs. Yollis' class was triumphant! Whiteboards, computers, manipulatives, and creativity were put to good use on our paperless day! Even tonight's homework is paperless! How did you like the paperless homework? Mrs. Yollis submitted three posts to the Los Angeles County Office of Education's - Digital Voice Awards. All three entries are winners! Winner #1: Video ~ Mrs. Yollis' Class Visits North America! 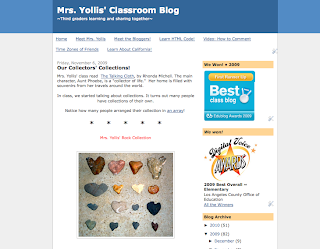 Winner #2: Our Collectors' Collections! 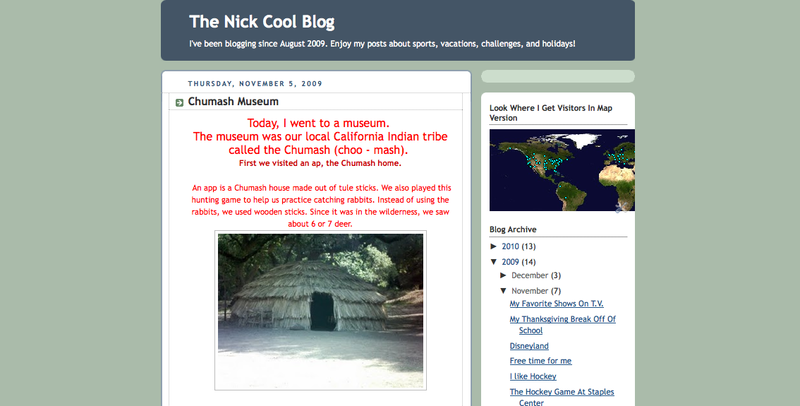 Winner #3: The Nick Cool Blog ~ Chumash Museum post! Everyone is invited to attend the 2010 Digital Voice Awards program on Saturday, May 22, 2010. Around the World in 80 Schools! They hope to visit and learn from 80 different schools around the world via Skype. They've already met three schools, so they have 77 school left in the challenge! Today the class visited to Pennsylvania! 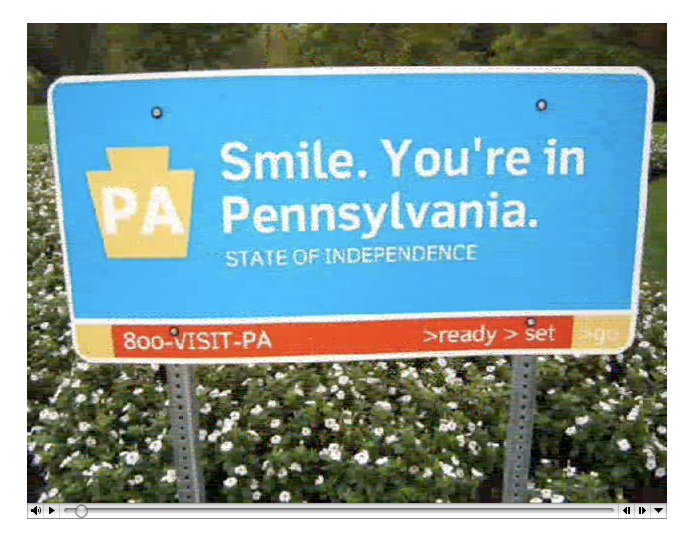 Pennsylvania is nicknamed the Keystone State because of its important role in our nation's history. 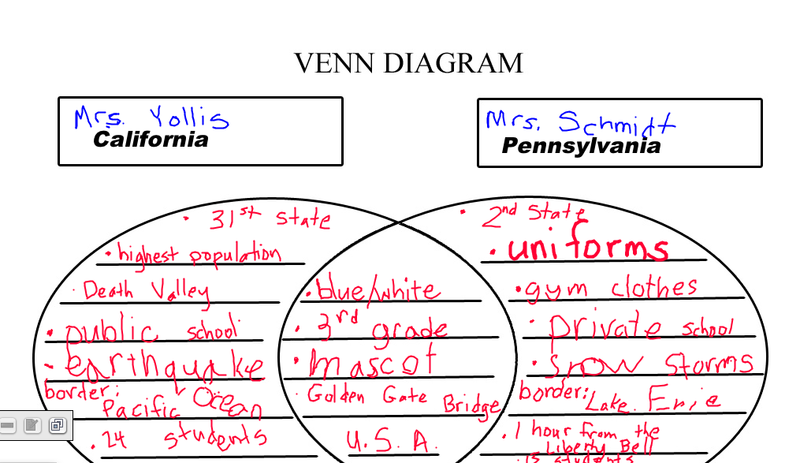 We learned all about the great state of Pennsylvania from Mrs. Schmidt and Mrs. O. and their two classes. 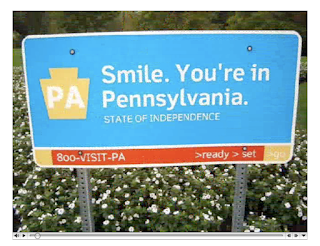 Do you have any questions about Pennsylvania? Did you notice any similarities or differences? 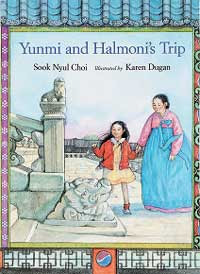 One of the stories in our Voyagers Unit is called Yunmi and Halmoni's Trip. The story is about a Halmoni (Korean for grandmother) who lives with her granddaughter in New York City. Yunmi and Halmoni go back to Korea to visit relatives. Yunmi gets worried that Halmoni will want to stay in Korea and not return with her to America because Halmoni is having so much fun with the relatives. To complement the story, Ethan's halmoni and mother visited our class and brought one of the dishes that was mentioned in our story. Mandoo are Korean dumplings filled with vegetables and meat. Halmoni taught everyone some Korean! Mrs. Kim taught the class how to use chopsticks! Please enjoy some picture from the wonderful cultural experience! Have you ever eaten Mandoo? Do you know any facts about Korea? 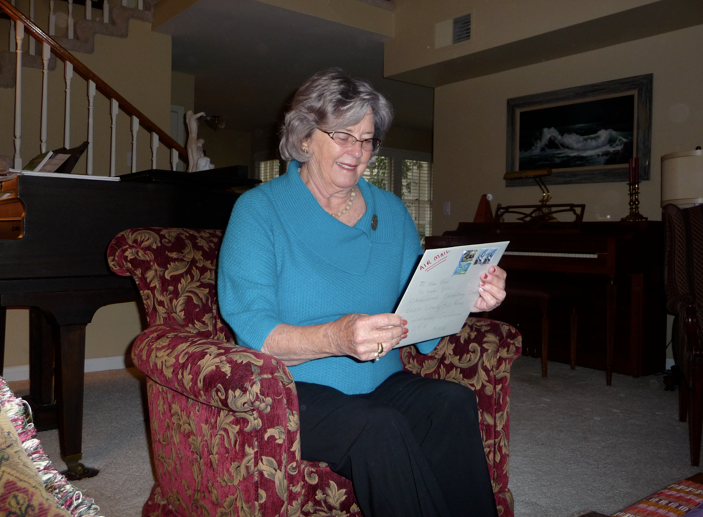 Kate's Grandmother Teaches About Australia! Kate's grandmother was born and raised in Australia. She visited our classroom and shared artifacts from her life growing up in Sydney, Australia. Do you have any question about Australia that you'd like answered? Earth Day is an important day to think about our planet and how we treat it. What we leave behind really matters! Mrs. Yollis and her students have been spending a lot of time thinking about how to reduce, reuse, and recycle. 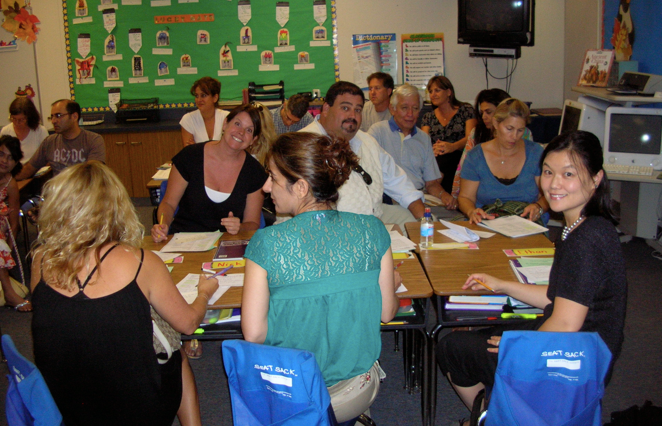 Changing behavior is difficult, but it starts with an examination of behavior. On Monday, Mrs. Yollis' students collected the trash from snack and lunch. 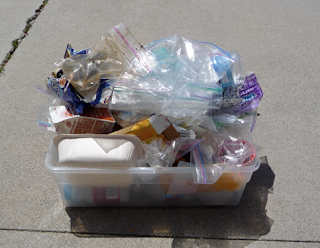 Students then sorted the trash into stack of paper bags, foil, plastic baggies, plastic utensils, wrappers, disposable plastic water bottles, and cardboard cartons. 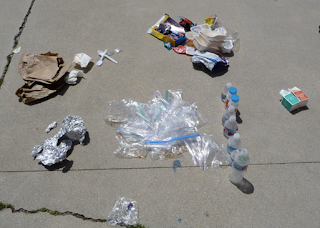 Trent, Ayush, Charlie, Kayla, and Ethan have already discovered ways to limit trash. They bring their lunches in reusable containers! 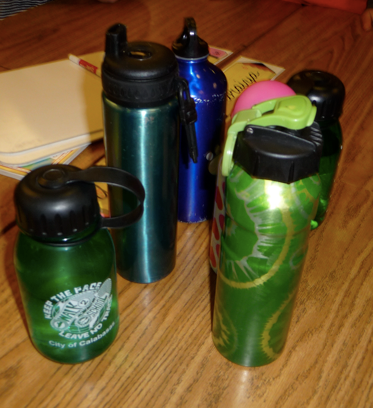 In addition, some students are drinking out of reusable water bottles. 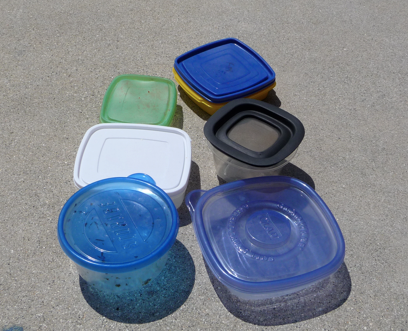 Many students have pledged to start using more reusable containers. 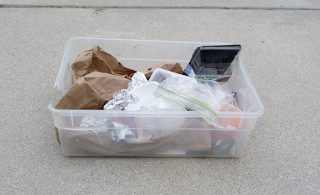 It is exciting to hear the pledges people are making about creating less waste! 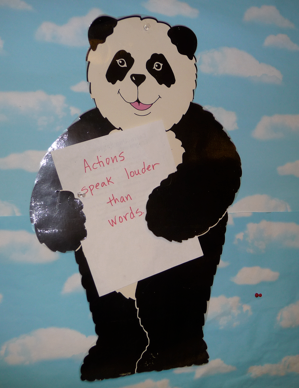 But, Panda says that actions speak louder than words. Already, action has been taken! Mrs. Yollis has changed her behavior. 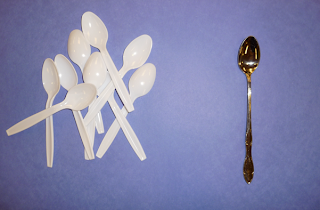 She used to use a disposable spoon with her yogurt every day. What a waste! Now, she is using a reusable metal spoon! 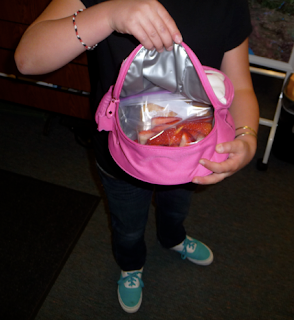 Gal was using paper bags everyday, but now she has a reusable lunch box! Are you trying to change your behavior? 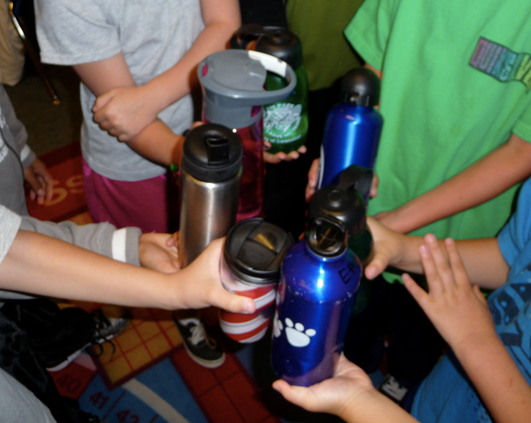 Tell us about how you plan to reduce, reuse, or recycle! Mrs. Yollis' students have been learning about decimals! Here is a lesson about tenths and hundredths using dimes and pennies. Do you see any decimals in your life? Making friends is just one of the many wonderful aspects of having a classroom blog! 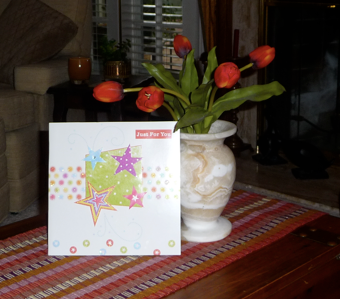 2KM, our blogging friends from Australia, sent us a surprise package on March 12. On March 31, we received another generous gift from Bianca and her mother, AA. We wanted to send our valued friends some things from America, specifically from our state of California. Miss McGeady and 2Km just got the air mail package and check out this thank you video they made for us! A Surprise Gift from Kathleen McGeady on Vimeo. Educational blogging has truly made learning more fun and so meaningful! 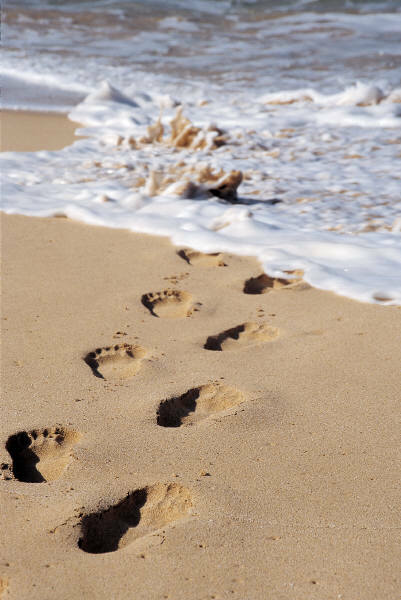 What thing (little or BIG) can you pledge to do in order to make the Earth a better place? Double click on the WallWisher to add your pledge! 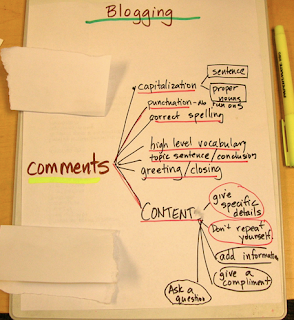 The fourth assignment in the Challenge Yourself to Blog series is focused on the environment. on Earth Day, April 22. The project is sponsored by TeachPaperless Blog. Here is a link to the wiki that was set up to document the day. On that day, Mrs. Yollis has pledged to not use any paper in the classroom or for homework. 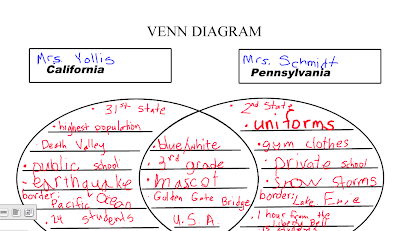 Instead, she'll use: whiteboards, Quia, and Spelling City! Do you think this is a worthy project? 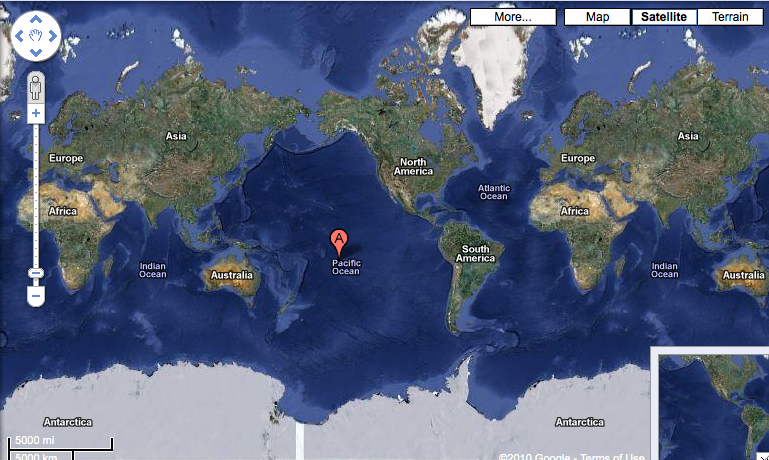 is to tell a little about where you live. The place where Mrs. Yollis' students live can be describe in many ways! Here is a movie Mrs. Yollis' class made about their continent! 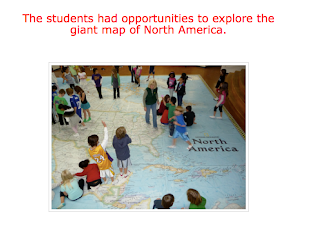 Did you learn anything new about North America? Mrs. Yollis and her students love to share what they are learning and experiencing. moms, dads, brothers, sisters, grandmas, grandpas, uncles, aunts, and cousins. 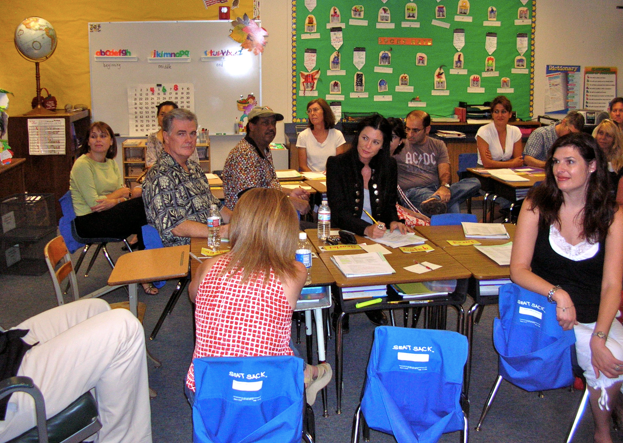 Students will be inviting their family to participate in a conversation!